Try it - You will love it! Relson Gracie Jiu Jitsu Maryland is a high quality Martial Arts Academy with locations in Howard County and Carroll County, Maryland. Both of these Jiu Jitsu schools are near Columbia, Maryland and Westminster, Maryland. Our caliber of martial arts instruction is second to none. 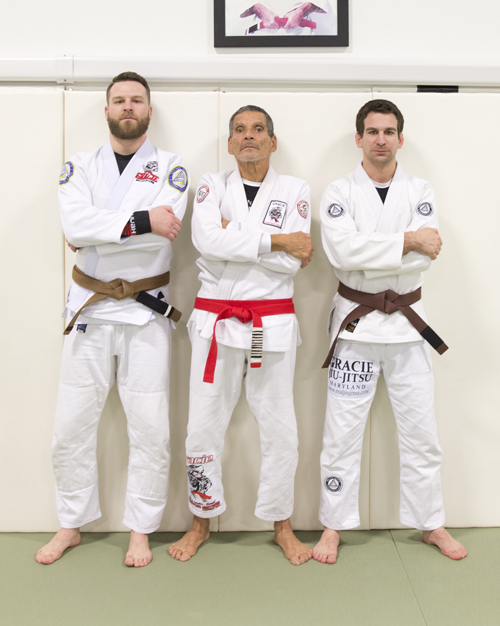 Relson Gracie Jiu Jitsu Maryland provides its valued students with an unparalleled connection to the legendary Gracie Family. 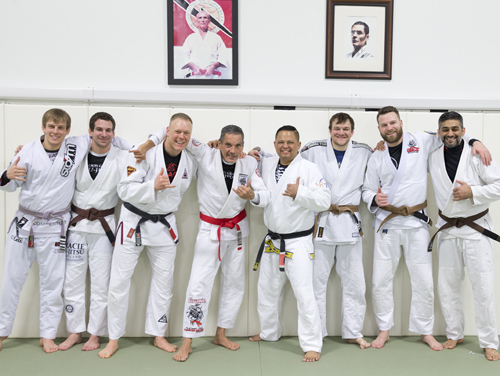 Our clean and welcoming environment is ideal for people who want the best BJJ training in Maryland. The cooperative, safe, and friendly environment is what sets our Martial Arts school apart from others. In our Jiu Jitsu classes, we focus primarily on practical street self-defense. Students do not have to worry about feeling pressured to compete or fear being injured in class or competitions. Our age and skill specific programs allow people with zero experience to participate. Our Martial Arts school prides itself on having patient and enthusiastic Instructors who care about your safety and progress while teaching your classes. We believe that if a student feels safe that they will learn with more ease. We concentrate entirely on teaching students how to protect themselves against the most common attacks that you would most likely encounter in a real life altercation. In our classes, time is never spent on learning traditional forms, board breaking or practicing with outdated weapons that someone would never encounter in real life. While we respect the tradition and value that these common practices in martial arts schools in Maryland provide, we believe that students who want to truly learn real self defense skills need a more practical approach to Martial Arts training. Gracie Jiu-Jitsu is a martial art based on mastery of the use of leverage, timing and technique over brute strength. It is the best martial art for the smaller person to defeat a larger opponent. Come take our free ten day trial and learn how training at Relson Gracie Jiu-Jitsu Maryland can change your life! Copyright © 2019 Gracie Jiu-jitsu Maryland. All rights reserved.